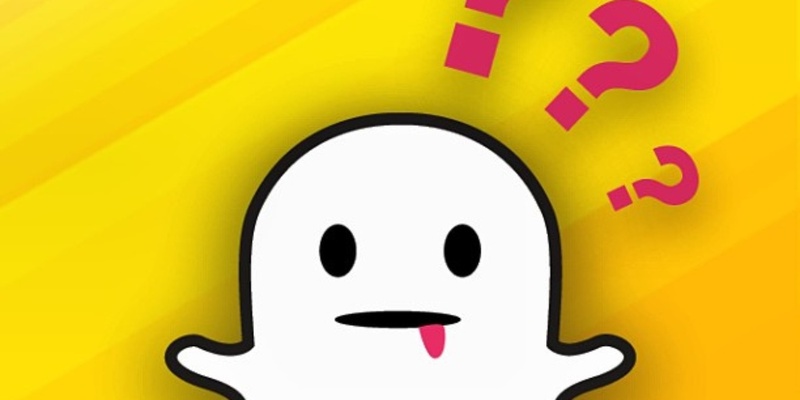 Home › Social Media › When Will Snapchat Bring Back Best Friends? When Will Snapchat Bring Back Best Friends? Soon, according to creator and CEO Evan Spiegel. Below is his Tweet from Tuesday, January 27th which was the day Snapchat released the new app with the Discover option but no Best Friends. Most users have voiced their opinion about this feature being taken away from Snapchat. It looks like Evan got the picture load and clear. In fact, his Tweet was less than two hours after the new app was available. It looks as if some of the celebrities out there, with thousands of Snapchat followers, wanted to have the Best Friends feature removed. This makes sense but Snapchat should allow you to have zero best friends if you so desire. It may be the case that you need a verified or business Snapchat account to show zero best friends. If Snapchat makes it an option to show or hide best friends I would imagine many people will hide it as a way to avoid the drama. As E! Online posted yesterday, at this point boyfriends and girlfriends are free to cheat all they want with Snapchat right now. That said, even if there is an option they are still going to do the same thing. Remember, once a cheater, always a cheater. If you have had problems with your significant other cheating via Snapchat there is a good chance they are going to do it again. Relationships are so different these days with Instagram, Snapchat and Facebook. Instead of worrying about Snapchat best friends I would strongly suggest spending time with your boyfriend or girlfriend and work on building a trusting relationship. This will solve all the problems related to Snapchat drama. 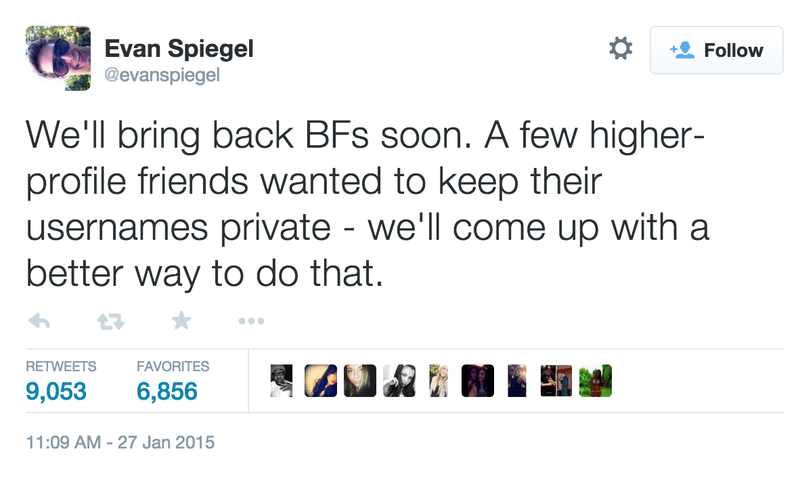 All that said, I would guess in early February 2015 we are going to see a Snapchat app update that brings back best friends. When do you think Snapchat will bring back best friends?